It’s been exactly two years. 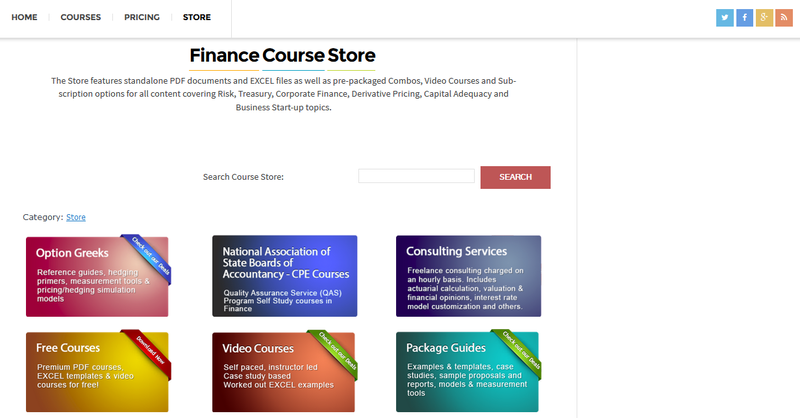 The last major redesign done for FinanceTrainingCourse.com happened in September 2012 . In June 2012 we took a big leap forward by moving to AWS and completely revamping our site and then did yet another revamp two months later as we ran into performance issues. The experience was traumatic enough for our entire team to swear a blood oath to never ever do it again. Unfortunately blood oaths and technology companies do not gel well. Earlier this year while we re-factored our other sites, FinanceTrainingCourse.com was this big ugly monster that no one wanted to touch. As the site has grown in depth as well as traffic, our AWS servers have been creaking under the load. With over 1,000 posts and just over 4 GB of supporting data and attachments, our 50,000 page views a month had been causing quite a few cases of heartburn. A large part of the problem was our inexperience with word press when we started off in 2011. A number of bad choices were retained in our last pivot primarily out of necessity and our own inexperience. Despite these challenges we had been doing well traffic and search wise and there were quite a few internal debates about making this move right at the start of the year end training season. Sometimes it’s best that the choice of a difficult decision is taken away from you. This September we finally decided to bite the bullet. During the last two week new servers were rebuild from the ground up, data moved, interfaces and themes tested and a number of trial ports were tried out. Given everything that goes wrong with such moves, the final push to production happened this morning. Some of you have witnessed strange events happening in this neighborhood and we finally acknowledge responsibility. A port was in the works and today was D-day. Without further ado, the new site is here. We have pulled the plug on our trusted and loyal server and moved you to a brand new instance with a brand new responsive theme. That essentially means that many of our smart phone and tablet users will see an immediate boost in speed. In our internal testing, we have been hearing the word fast a lot. That may have something to do with the fact that our prior design really sucked when it came to performance on an intelligent hand held device. The store has been re-factored again and is certainly speedier than its previous reincarnation. We think, but please feel free to correct us if we are a little off in our assessment. That is the good news. The bad news is that we are still facing teething problems and you will see a few intermittent issues for the next few days. Please bear with us while we get this out of our system. Once this phase is behind us, I can assure you we will all be significantly better off. To begin with the content we write will be infinitely more readable on your handsets, tablets and laptops. I will finally be able to write content again rather than worry about redirection and server security. Just in case I haven’t said this before. Thank you very much for your patronage. It means the world to us. If it wasn’t for your feedback and encouragement, I am not sure we would be here. So take it for yet another spin. Tell us what you love or hate about the new design. Help us make it better. Remember feedback is a gift. Previous Previous post: How to take a great head shot for your author profile picture?